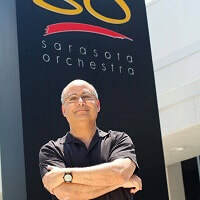 Gordon is responsible for all marketing strategy and communications activities including digital marketing, public relations, advertising and branding for the Sarasota Orchestra and Sarasota Music Festival. He also oversees the box office and front of house operations. He earned a Bachelor of Arts in Journalism from Northeastern University and a Master of Business Administration with a marketing concentration from Cornell University, as well as a digital marketing certificate from Duke University. His prior experience includes nearly 30 years managing substantial marketing programs in the high technology and homebuilding sectors and held leadership positions with advertising agencies and an international market research firm. Gordon is passionate about the importance of integrating digital marketing in branding strategies that advances an organization’s goals.